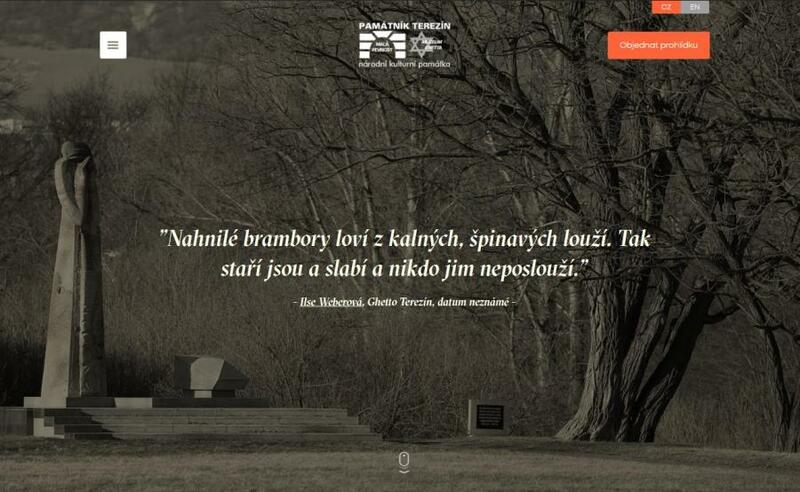 Homepage of the Terezín Memorial´s new website. Since September 2017 people interested in what is happening in the Terezín Memorial or planning the visit of the place may do so thanks to its new website presentation. The new web pages feature a modern look with a distinctive homepage. The highlight of the opening page are the pictures of the various former repressive facilities administered by the Terezín Memorial. Each photograph also carries a short quote – either an entry from a period diary or a postwar recollection of a former inmate. Visitors to the website can also click on the name of the author of the recollection and eventually read his or her story (if we happen to be familiar with it). These quotes constitute a kind of tribute to the former inmates as well as a reminder saying that “large history“ hides millions of human stories that often address us in a more comprehensible way than history textbooks. The homepage also set itself the task to point out to the visitors the most interesting events the Memorial has to offer (visiting its individual objects, online search engines for looking up names of former inmates, catalogs of art collections, educational projects, online publications, calendars of events, information on the Terezín Memorial´s exhibitions etc.) and to provide a fast and simple route to their required content. The structure of the website remains unchanged but your navigation should be much simpler and faster, with a well-arranged menu as an efficient aid. We sincerely believe that online visitors will like our new website and we will be happy to receive your comments and further ideas. 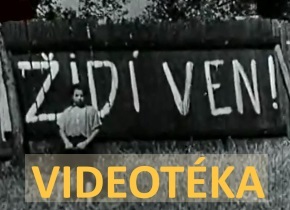 Please, send them to our Facebook page or to our e-mail address: press@pamatnik-terezin.cz.